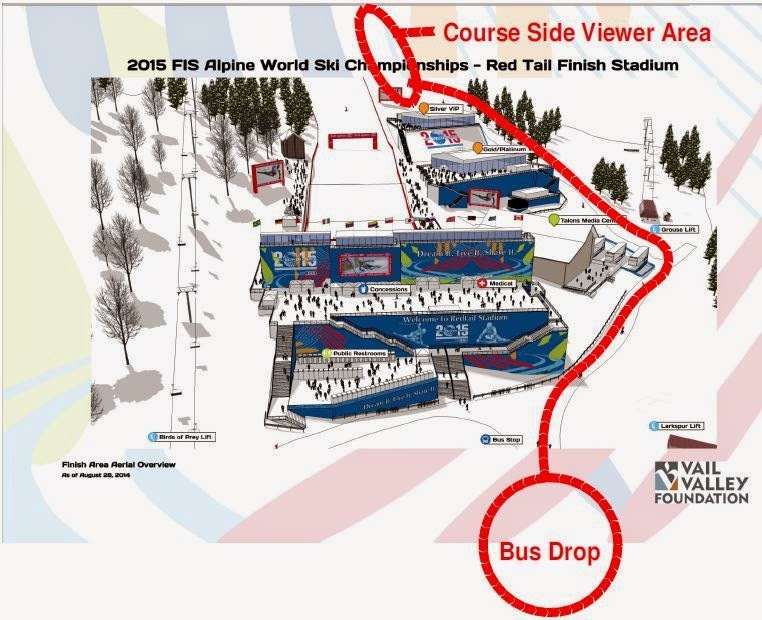 If you're heading up to Beaver Creek for the Men's Super G race or other upcoming races during the Alpine World Ski Championships, organizers recommend arriving at least an hour prior to race start to secure seating at Red Tail Stadium. Gates open at 8 a.m. Another recommended option is to ski to the venue. If the stadium is full, there is spectator viewing alongside the course near Red Tail Stadium. The recommended location is skiers left below the big screen that sits directly above the VIP tent. To access this recommended viewing area, guests will need to walk around the Talons building and then uphill to the area. It is a good vantage point. For details, visit www.vailbeavercreek2015.com or download the free Vail 2015 mobile app.